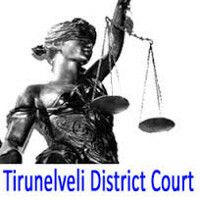 Tirunelveli District Court Recruitment Notification 2019.Tirunelveli District Court inviting applications for the positions of Office Assistant, Night Watchman/ Masalchi.Interested and Eligible candidates can apply for the positions. 1. Qualification: Candidates Should have Complete 8th Pass. 1. Eligibility: Should be able to Write and Speak in Tamil. 2. Pay Scale: New Pay Matrix in Level 1 Rs.15700-50000. Chief Judicial Magistrate, Tirunelveli - 627 002. Interested Candidates Can Apply on or Before 30/04/2019.